The Hotel Fresno, the oldest extant hotel in Fresno, was placed into the National Register of Historic Places in Fall 2018. Our guide to researching local historic buildings will help you answer questions about your home or commercial building. Learn more about Fresno sites on the National Register. All the sites on Fresno's Local Register. Information on Fresno's designated and proposed districts. Walking and driving tour routes of historic Fresno. Information on architects, designers, and builders who shaped Fresno's historic fabric. How to research a historic property in Fresno. Meet the people responsible for this site. Ask a question or make a suggestion. 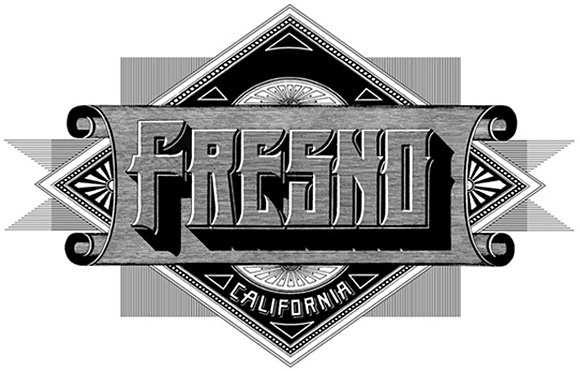 "Fresno" graphic on title page © 1918 The Sanborn Co., EDR Sanborn Inc. All rights reserved. Reprinted with permission of EDR Sanborn Inc.
Reprographics courtesy of Marc Allyn, Menlo Park, California.